The Prime Minister's Official Spokesperson answered questions about a report by the Airports Commission, child poverty and ISIL. When asked about the Airports Commission’s report on aviation capacity, the Prime Minister’s Official Spokesperson (PMOS) said the Prime Minister and the Transport Secretary had set out the government’s position clearly, adding that it was a comprehensive and substantial report from the independent commission which the government would consider carefully before setting out how to move forward. 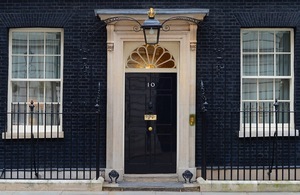 When asked about tackling the threat of ISIL, the PMOS said the Prime Minister had been clear that we need to be crushing ISIL in both Iraq and Syria as part of the role the UK plays alongside its partners, adding that ISIL was clearly seeking to find areas from which it could threaten people in Britain. She said that this was part of what the Prime Minister meant when he said we needed a full spectrum response that did not focus on one area but looked at a range of areas. When asked about the suggestion broadcasters shouldn’t call ISIL ‘Islamic State’, the PMOS said they were not a state, nor were they Islamic – they were terrorists. When asked about child poverty, the PMOS said the Prime Minister had been clear on the need for reform and to focus government action on tackling the root causes of child poverty, not just treating the symptoms.